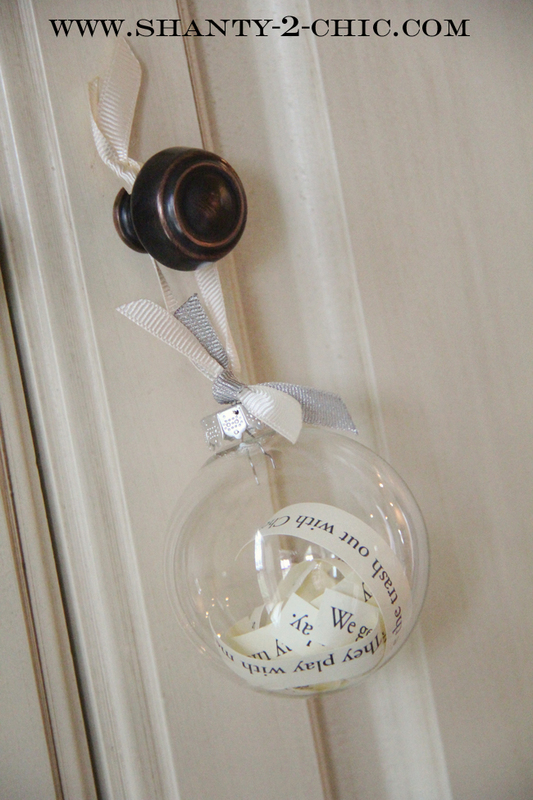 1) Glass ball ornament filled with thoughtful words from Shanty 2 Chic - could easily customize this idea. 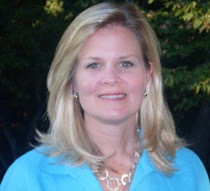 You could cut up a wedding invitation, baby announcement, menu from a memorable restaurant, picture of a special place, have children write-out thoughts about the person, memories, etc.... The possibilities are endless! 2) Custom-made tile coasters from The Cottage Home - made with inexpensive kitchen or bath tiles and scrapbook paper. 3) Clipboard for Post-It Notes from The Huckaby's Happily Ever After - would make a great teacher gift along with a new pack of note pads. 4) Add A Pinch's lemon sugar scrub and printable - I just bought some pretty little jars with lids from Hobby Lobby a few days ago for $1 each that would be perfect to put some of this in! 5) Hand-stenciled napkins or tea towels by Pickles and Cheese - made with inexpensive painter's drop cloths. I would definitely use fabric paint for this, which can be found at Michaels, Hobby Lobby, JoAnn's, A.C. Moore, or other craft stores. 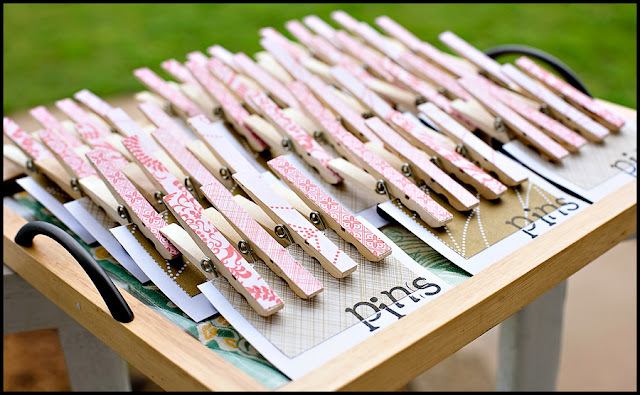 6) Pretty clothes pin magnets from Under the Sycamore - make with Christmas-themed scrapbook paper for the holidays, or with regular decorative scrapbook paper for a year-round gift. 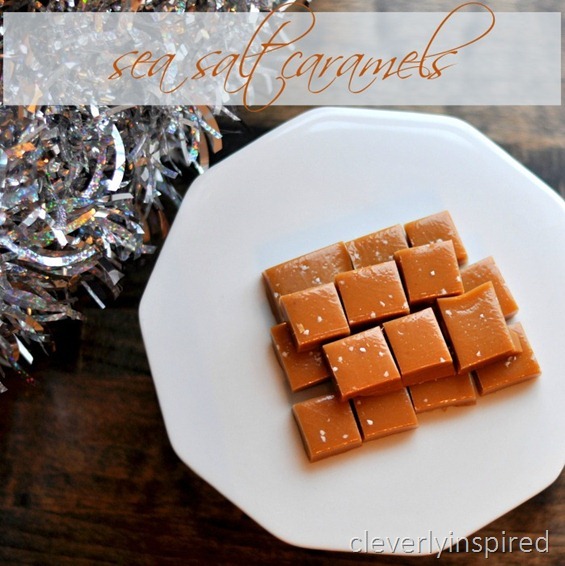 7) Sea salt caramels from Cleverly Inspired - mmmmmmmm. Sea salt caramels... need I say more? 8) Personalized monogram burlap/wood sign - the one pictured is for sale. 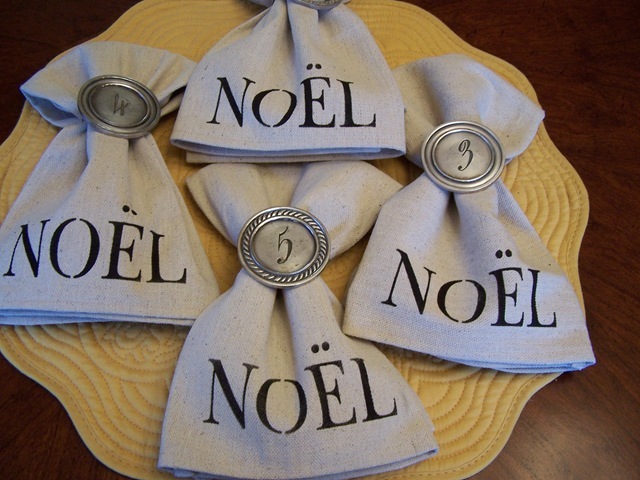 You could very easily make one for under $5 dollars (saving you a whopping $57.48!) 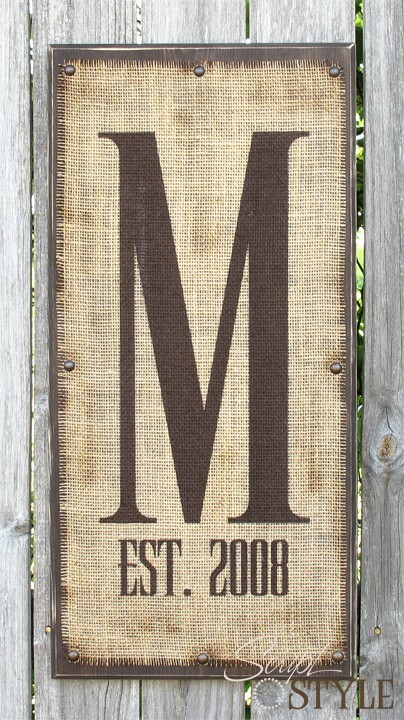 with a piece of scrap wood, burlap, brown craft paint, a few nails or upholstery tacks and stencils. 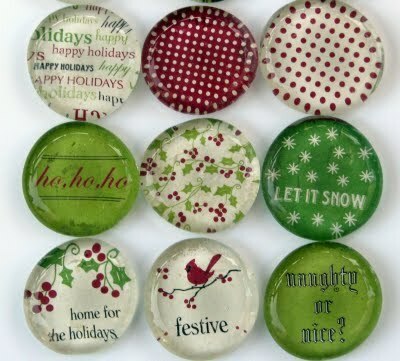 9) Holiday Magnets from Brixton Lane - using flat backed marbles from the craft store and scrapbook paper. You could make it a bit more personal and substitue pictures of the person or family for the paper, instead. 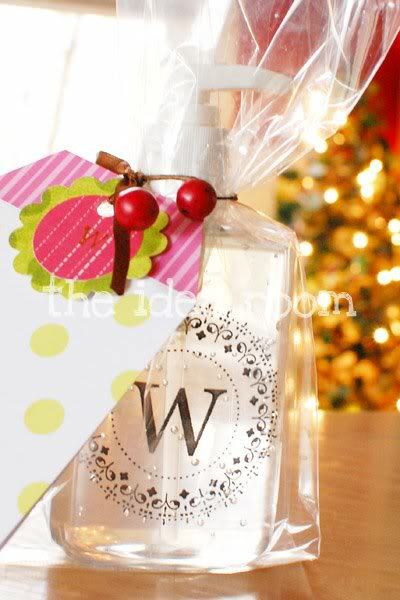 10) Monogrammed hand soap or sanitizer bottle from The Idea Room - easier than it looks, I promise. 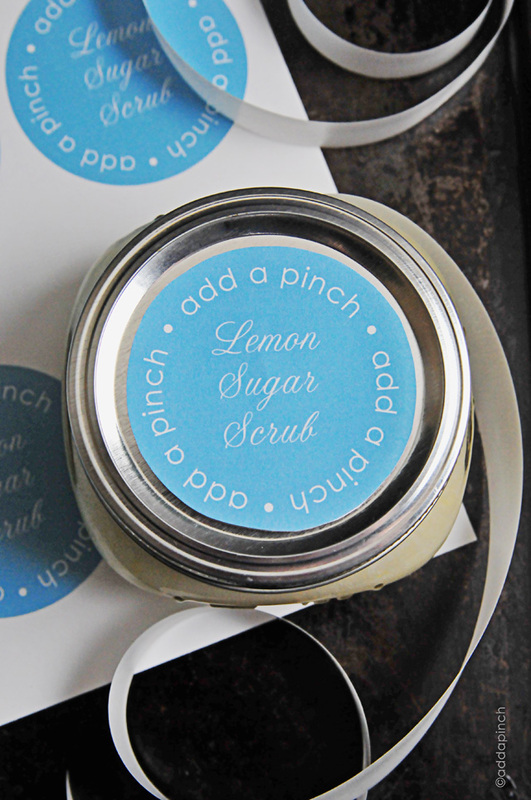 Simply buy the bottles of hand soap or sanitizer from the store, take the original label off with Goo Gone, use the download (provided on the blog post) to do the monogram, print it off on overhead transparency paper, cut it out, roll it up, stick it inside the bottle, done! I hope these ideas motivate you to start. 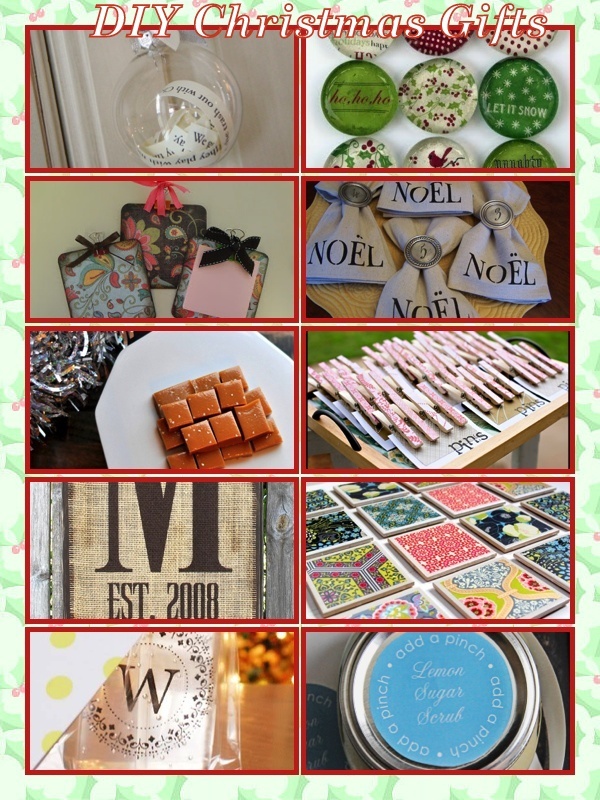 There are still 10 days before Christmas - plenty of time to make some or all of these! To see even more ideas, go here to my Pinterest board. 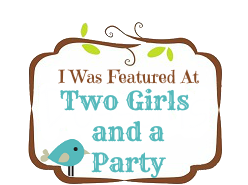 I personally would make a stencil using my Silhouette Cameo machine. If you don't have a vinyl cutting machine, nor have a friend with one, you could try making your own stencil by designing your monogram/date as a Word document, printing it on a piece of Contact Paper, then cutting out the letters with an Exacto knife. Peel off the sticky back of the Contact Paper and press it to the burlap, then paint. Just be sure to paint many light layers rather than one thick layer to keep the paint from seeping under the Contact Paper.